Mobile apps analytics company Localytics has released its latest study, analyzing the amount of time between app use and app abandonment. The “app churn rate” study measured the likelihood users were to completely abandon apps, in relation to the number of times they open apps in the first week after downloading them. When measuring app usage on iPhone and iPad, Localytics found the median user returns within just under six hours of first using an app. However, if they don’t open the app for the second time within one day of its first use, there’s a 40 percent chance they never will again. By the end of the first week, that chance increases to 60 percent. That is, 60 percent of users who don’t use an app more than once in the first seven days, never will again. This figure encourages marketers to quickly engage users to keep them coming back to apps, with the specific app type also playing a role in the app’s churn rate. For instance, social and entertainment apps have a larger rate. Localytics found if a user doesn’t return to such apps within the first 12 hours of their initial usage, there’s a greater than 50 percent chance they never will. Other app categories, like news apps, fair much better, with a 59 percent chance users will return at a later date, even if (up to) seven days pass since the app was first opened. As one might expect, Localytics found a predictable relationship between the length of the first app session and the likelihood users are to return at a later date. When users have short first app sessions, they’re less likely to return, and vice versa. According to Localytics, app owners must work on engaging their new users fully within that first session, and can’t solely depend on them coming back on their own. They also point to push messaging as a great tool for user re-engagement. 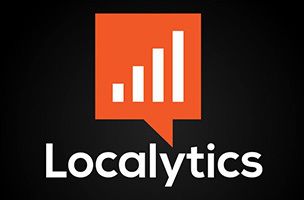 Localytics’ full report can be found on the company’s website.